Learn how to not only be an energy empath survivor but an energy empath thriver. Are you considered overly-sensitive? Are you frustrated because you haven’t yet healed? Do any of these resonate with you? – Do you have digestion/elimination difficulties? You may be empathic. Our sensitivities to the energy in and around us may be the cause for you to take on the pain, unhappiness, and other dis-ease of the people around you. This class, self care for the empath may provide the answers you seek. The Universe has spoken and we have all been called to listen. Many of us have decided to choose the path of soul and spiritual living which has placed us on a path of self-realization. ♡ Learn what about the traits of the empath. ♡ How to recognize when the “stuff” you are feeling is your own or someone else’s and what to do. ♡ Learn the tools of self discovery and see the gifts you have as a not a curse, but as a gift. ♡ Learn techniques that teach you how to effectively protect yourself from surrounding energies. ♡ Learn how to powerfully release the energies that no longer serve you. ♡ Learn how to honor and empower yourself. ♡ Also exercises given to be done at home in between classes. • access to a private self care for the empath support group. This will be a powerful interactive class. You will no doubt leave more empowered with many tools for self care. Dates: Two Sundays back to back in order to give you exercises to work on in between classes. Struggle with the energies around you? This class, self care for the empath may provide the answers you seek. This class is designed both for the beginner empath and the experienced empath wanting to learn more tools. We will look in all areas of your life from spirituality to lifestyle, health, nutrition, and more. What about the traits of the empath. How to recognize when the “stuff” you are feeling is your own or someone else’s and what to do. How to discover the gifts you have a gift not a curse. Techniques that teach you how to effectively protect yourself from surrounding energies. How to powerfully release the energies that no longer serve you. How to honor and empower yourself. The role of nutrition and how to navigate the health care system as an empath. Also exercises given to be done at home in between classes. access to a private self care for the empath support group. Join us for this special empath intensive of healing and empowerment. You owe it to yourself to invest in YOU. This is the ONLY planned currently planned for 2019. Are you tired of being sick and tired? Are you seeking healthier alternatives? Do you suffer from autoimmune disease, cancer, unexplained back pain, anxiety, depression, relationship challenges, fatigue, lack of vitality, etc? Is there buried trauma personally, generationally, or karmicly? Trauma isn’t what you may think. Laura will share her experience of healing multiple illnesses including complex PTSD and colds and averted surgeries such as root canals and hysterectomy using various spiritually based holistic health therapies. Learn also what to look for in finding a qualified practitioner to work with and how to avoid potential predators masquerading as healers. Laura is a trauma survivor, healer, writer, speaker, spiritual medium. She has been providing spiritually based holistic health enrichment at Healing With Spirit since 2006. She has over 15+ cumulative years in health care and experience as a college educator and domestic violence advocate. She’s also a Shihan through Jikiden Reiki Institute in Kyoto Japan. Shes based in Hingham, Ma. Happy New Year. Kick off 2018 with a resolution of more self-care. Trauma … We have all been affected by trauma one way or another in our lifetime. However, we may not realize how a traumatic event may have affected our life or impacted our soul. The challenge is trauma doesn’t affect us the way we perceive it. It affects us on a cellular and soul level and may not even be in our own awareness leading to chronic illness, cancer, pain, poor relationships, etc. I am going on my 13th year when I made a crucial decision to leave an abusive relationship and begin my healing path for first time in my life. One of the things that I have learned in my 13 years, is that the more I connected to the divine within, soul, inner child, it also reveals the root cause that wounded my core. I began to discover the roots to my fears, insecurities, and my own self sabotaging behaviors … to the place it all began … the seed that began decades before I married an abuser. I began my healing journey broken wondering how to put all the pieces of me back together. 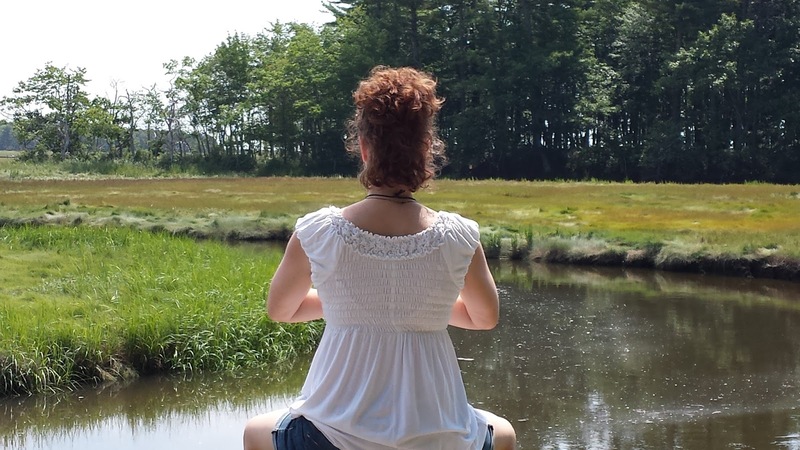 I began to employ traditional therapies (which didn’t help me much), support groups, spiritually based practices such as developing my sequestered intuition, meditation, reiki, acupuncture, journaling, dance, connecting to nature and more. We have technology which is supposed to make us more connected than ever. However, we are actually more disconnected than ever. We are not connected to the very life that breathes underneath our feet, Mother Earth. We are not connected to our own BE-ing or essence. We live in a society of wanting everything now, instant gratification, and a “plugged in” to that technology 24/7. Unfortunately, healing doesn’t work like that. Employing a one day at a time mindset goes a long way as well as a lot of self-compassion. Learning new ways “to be” takes time. Discovering you again takes time. Developing new skill sets to heal takes time. Finding someone to help you who has the skill sets is huge if you can find that coach/healer. Employing a mindset of presence helped me with my trauma, PTSD, anxiety and the physical illness that resulted from my trauma. There’s many ways to learn the art of presence whether through meditation or mindfulness-based practices, but from me, learning Jikiden Reiki changed everything for me. This is where I have seen the most growth in my life since I began this journey in 2005. March 19th: REIKI VIBRATIONAL HEALING MEDITATION with the Tibetan Singing Bowls in Hingham. Class held monthly.